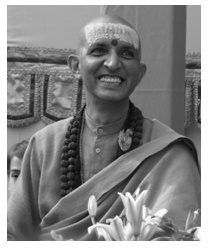 Swami Sivananda, a medical doctor and Ayurvedic physician, left his successful practice in Malaysia in search of his spiritual calling and a teacher. Settling in the sacred valley of Rishikesh, he found his guru, Swami Vishwananda Saraswati, and was initiated into the Dashnami Sannyasa tradition when he was 37 years old. 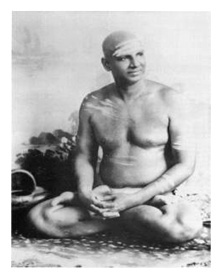 To carry out his mission, Swami Sivananda wrote hundreds of books, established the Divine Life Society, the Sivananda Ayurvedic Pharmacy, the Yoga Vedanta Forest Academy and the Sivananda Eye Hospital. Swami Sivanada’s message was heard, he healed the cripple, helped the less fortunate and touched the hearts of many – a true spiritual master of his time. Swami Satyananda, the founder of Satyananda Yoga, met his spiritual teacher, Swami Sivananda, at the age of 20. After living with his guru for 12 years, Swami Satyananda left the ashram with the mission to spread yoga world-wide. He travelled the globe for over 20 years, introducing yoga to the West and carrying its authentic message from “door to door and shore to shore”. Through his teachings and extensive writings, Swami Satyananda made the ancient science of yoga more accessible and appealing to the modern mindset and culture. He founded the International Yoga Fellowship Movement (IYFM), the Bihar School of Yoga and the renowned practice, SATYANANDA YOGA NIDRA. Later in life, Swami Satyananda retired from touring and his active involvement in yoga teaching and moved to Rikhiapeeth, which at the time was a poverty-stricken, unknown village in one of India’s poorest states. Since then, Rikhiapeeth has been transformed into a vibrant centre of spirituality, hope and future. 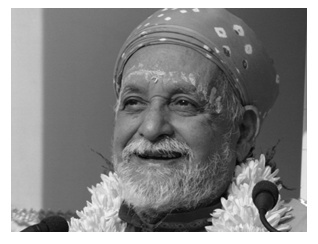 In 2009, at the age of 86, Swami Satyananda used yogic techniques to enter into a deep state of meditation and consciously left his body, handing the Satyananda Yoga tradition to the present inspirers, Swami Niranjanananda and Swami Satyasangananda. Known as a yogi from birth, Swami Niranjanananda (Swami Niranjan) began training with Swami Satyananda at the age of four, and was initiated into Sannyasa when he was aged 10. For the next 12 years he travelled and taught around the world, showing from a young age the knowledge and wisdom of an experienced master. At 22, Swami Nir anjan returned to India to guide the activities of the Bihar School of Yoga, Sivananda Math and the Yoga Research Foundation. Eleven years later he was appointed successor to Swami Satyananda, undertaking the responsibility and vision to bring yoga into the modern world. Through developing the first accredited yoga institute and writing many classic books on yoga, tantra and the Upanishads, Swami Niranjan has undoubtedly brought this vision to fruition. Filled with devotion and compassion, Swami Niranjan continues to inspire and serve people worldwide from his base in Muger, India. Through a number of inner awakenings, Swami Satyasangananda Saraswati, popularly known as Swami Satsangi, was lead to her guru, Swami Satyananda, at the age of 22. She travelled extensively with Swami Satyananda in India and abroad, developing into a scholar with deep insight into the yogic and tantric traditions. Dedicated to implementing the cardinal teachings of her guru - Serve, Love, Give - Swami Satsangi established Sivananda Math, a charitable organisation in India that cares for over 2000 children, offers help to widows and village elders, and contributes to the economic and social welfare of over 30,000 Indian families. Swami Satsangi is a truly inspirational author who has written major texts on yogic, Vedic and Tantric teachings. 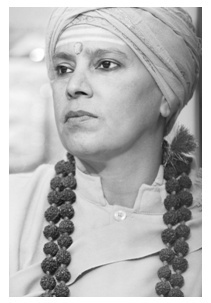 Her ability to articulate ancient spiritual knowledge in a modern context makes Swami Satsangi an ideal teacher to transmit the wisdom of her guru. Swami Satsangi currently resides in Rikhia and travels the globe extensively, giving inspirational lectures and sharing the light of Satyananda yoga to all. There are over a hundred different types of Yoga. Neither is better or worse, right or wrong; they are but a tool, a tool to go within, to know within, the Truth within. Here at Satya Live Yoga we teach an integral style of yoga which can be practised by anyone, regardless of age, ability or fitness level. Based on Satyananda Yoga, our classes aim to develop and balance all aspects of one’s being – body, mind, emotions and psyche. 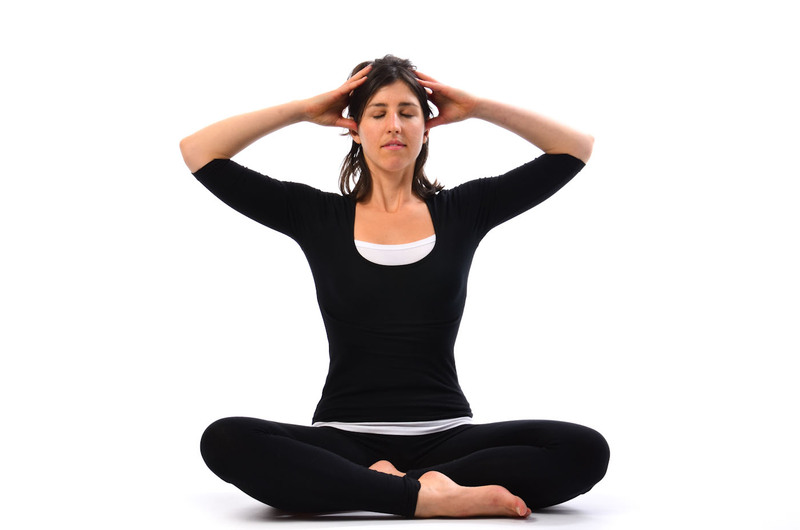 Traditionally our classes include physical postures, breathing techniques, deep relaxation and meditation practices. Physical postures (asanas) are practiced to stretch, massage and stimulate the energy within. They invigorate the body, develop strength, flexibility and endurance, and help to remove blockages and tensions. Asanas work on both the body and the mind, and by practicing with awareness one can integrate and harmonise the two. Postures are taught systematically and safely in a non-competitive environment. Students are encouraged to work within their own comfort level and to modify practices according to their needs and abilities. The breath is the bridge between the body and the mind. By tuning into the breath we can connect the two and be fully in the present in the moment. Breathing techniques, also known as pranayama, are more than mere exercises to expand the oxygen in the lungs. Rather, these practices utilize the breath to influence the flow of energy in the body. 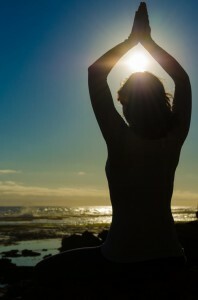 Depending on the desired outcome, different breathing techniques are used to heat, cool, energise, balance, sensitise or tranquilise the being. With this knowledge we then have the yogic tools to create a certain effect, whether it be to turn the mind inward for meditation or bring a sense of vitality and freshness for external activity. The average person takes 15 breaths per minute and 21,600 breaths per day. How many breaths are you aware of? 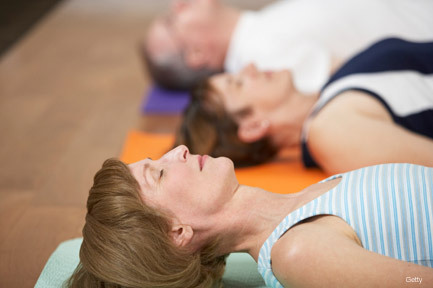 Yoga Nidra is a systematic method of inducing complete physical, mental and emotional relaxation. During the practice one appears to be asleep, but the consciousness is functioning at a deeper level of awareness. Yoga Nidra has many associated health benefits and is used widely to relieve stress, tension, anxiety and insomnia. Also known as yoga nod-off, it promotes deep, profound rest and healing, and is an essential tool in reducing dis-ease and enhancing wellbeing. 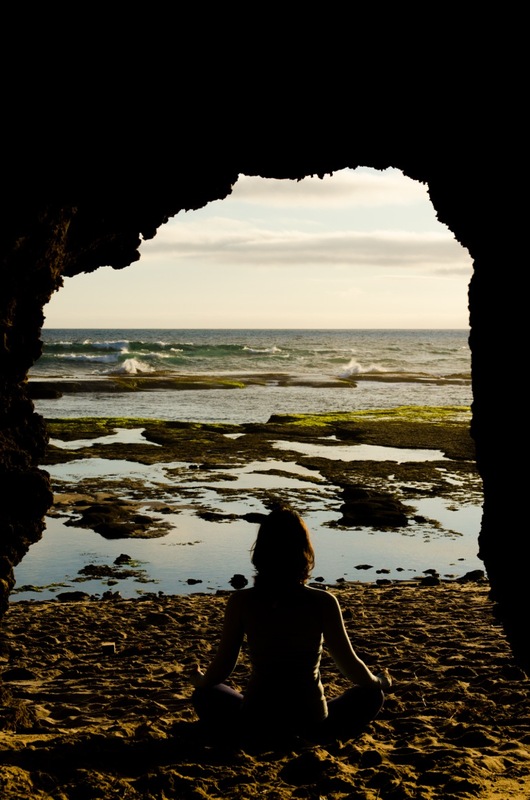 Meditation techniques are used to cultivate stability and stillness, and ultimately lead one to a deeper understanding of the inner nature, the Truth within. Meditation practices are taught systematically to expand the awareness, develop will power, enhance concentration, reduce stress and increase tranquillity. Through practice one learns the patterns and habits of the mind, and accesses a means to cultivate new, more positive ways of being. You may wonder...what is yoga? The word "Yoga" comes from the Sanskrit word "yuj" which means "to unite or integrate." Traditionally, yoga is a method of practice that aims to unite the individual consciousness or soul, with the Universal Consciousness or Spirit. In today’s modern world, many people think of yoga as just physical exercises - the asanas or postures that have gained widespread popularity in recent decades. - Yet yoga is far greater than acrobatics. Yoga is a holistic approach to uniting the body, mind and spirit. It’s a way of life; a state of being that brings one to Truth and harmony 24/7! Yoga – bringing us within. Yoga is a simple process of reversing the outward flow of energy and consciousness so that the mind becomes a dynamic centre of direct perception no longer dependent upon the fallible senses but capable of actually experiencing Truth. Hatha Yoga - a system of physical postures which aims to purify and then balance the body and mind in preparation for more advanced practices. The word Ha means sun and represents the solar, active, physical energy. Tha means moon and signifies the mental, emotional, intuitive aspect of being. 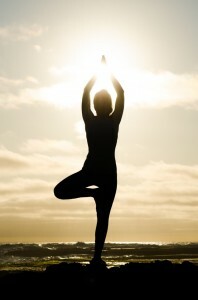 The purpose of Hatha yoga is to balance the physical and mental aspects of our being. Before we can attain this balance, a process of purification is necessary. The different practices of Hatha Yoga include asanas (postures), pranayama (breathing), shatkarmas (cleansing practices) mudras (psychic gestures) and bandhas (energy locks). Karma Yoga - meditation in action. In our physical existence, action is inevitable. Thought, speech and movement are all a part of everyday life. By performing these actions with awareness but without attachment to the result, one can unite with the Higher Self, Universal Consciousness. Karma yoga is a process of self-exploration. As Karma yoga provides an opportunity to observe the thoughts and reactions and over time, it can transform the mind and emotions. Karma yoga assists in the development of an attitude of detachment which allows us to become unaffected by the response of others and the outcome of events. It also helps us move away from likes and dislikes, and to focus the mind on the task at hand. Bhakti Yoga - the path of devotion. The word ‘bhakti’ comes from the root bhaja which means to ‘adore, serve, love, to be devoted.’ The practices of bhakti yoga aim to direct the emotions and feelings towards a greater, sublime experience. Many people give this path a religious bent, however it does not matter whether one is atheist or agnostic. Bhakti Yoga works on intent, love and compassion. It’s about channelling one’s focus and energies to a higher purpose, regardless of religious beliefs. Jnana Yoga - is a process of sincere self-enquiry using the intellect to attain true wisdom and, eventually, realization. Witnessing and reflecting on one’s actions and thoughts promotes deeper self-understanding. The “SWAN” technique was developed by Swami Niranjanananda as a practical means for individuals to practice Jnana Yoga. SWAN is an acronym for Strengths, Weaknesses, Ambitions and Needs. Through self-analysis one gradually unravels the layers of ignorance, until the true ‘Self’ is revealed. Raja Yoga - is the path to enlightenment through meditation. This system of yoga was compiled by the Sage Patanjali and described in the ancient text, the Yoga Sutras. It encompasses eight systematic stages to refine human behaviour and personality to the development of spiritual awareness and awakening. 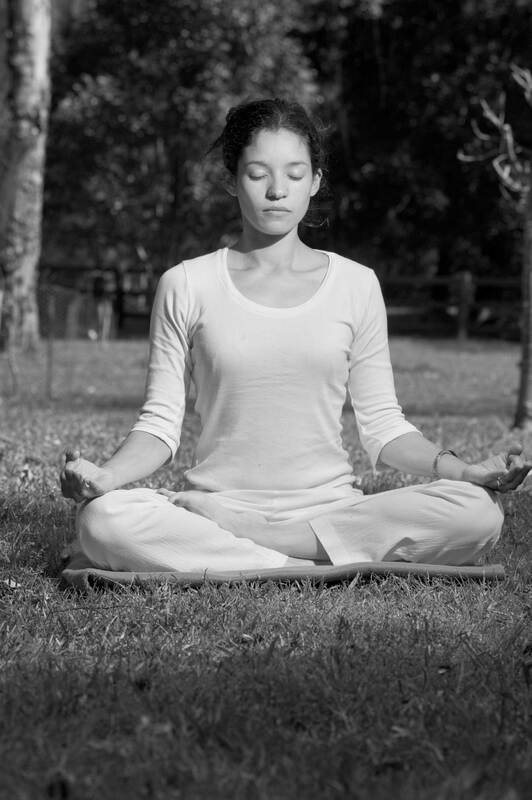 The first two stages are the ethical guidelines of yamas (self-restraints) and niyamas (inner disciplines) and they form the basis for the remaining six stages of Raja Yoga: Asana (postures), Pranayama (breathing techniques), Pratyahara (sensory withdrawal), Dharana (concentration or one-pointedness) and Dhyana (meditation). The ultimate aim is Samadhi (absorption, self-realization) - merging with universal consciousness. http://www.satyaliveyoga.com.au/wp-content/uploads/2012/10/logo.jpg 0 0 Christina Jagusiak http://www.satyaliveyoga.com.au/wp-content/uploads/2012/10/logo.jpg Christina Jagusiak2012-11-27 20:56:542014-07-22 09:29:34What is Yoga? Through her early teens Christina battled with an eating disorder and escaped life by using different substances and compulsive behaviours. 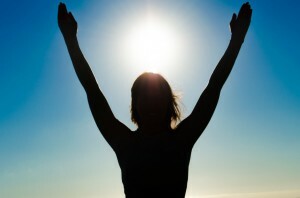 Seeing the unmanageability of the life she was leading, Christina soon learnt that the only way out of these destructive patterns, was to connect with her true, Higher Self. This life changing event encouraged Christina to move from the finance sector into health and wellbeing. Passionate and full of life, Christina studied yoga, fitness and mind management. After working as a personal trainer and hatha yoga teacher in gyms and studios on the Mornington Peninsula, Christina wanted to delve deeper into the traditional and holistic practice of yoga, so she spent 2½ years living , studying and teaching in Satyananda Yoga Ashrams around the world. No longer living by the ‘no, pain, no gain,’ philosophy, Christina believes in connecting with and following the inherent wisdom within. She is a dedicated teacher, authentic and compassionate, who puts her heart and soul into every class. With the vision to make yoga accessible to all, Christina founded Satya Live Yoga in 2012. She specialises in online yoga courses to help people find their own home yoga practice. When Christina isn't connecting to her students online she is teaching out in the community. Currently she teaches rehab and psychiatric patients, teenagers from an array of high schools, children in prinmary schools, different fitness groups and corporate officers. On the Southern Tablelands she runs classes in Braidwood, Bungendore and Batemans Bay. Check out classes for more information.